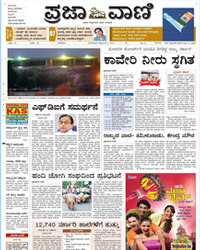 Sanjevani is a major Kannada afternoon newspaper which has its headquarters in Bangalore, Karnataka. It was started on 10 December 1982, thus completing 25 years in 2007. 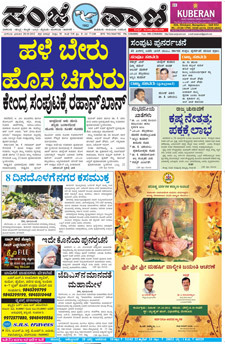 Sanjevani was the first South Indian language newspaper to be put onto the World Wide Web (http://www.sanjevani.com ) in the year 1998, and was chosen "No. 1 Kannada Newspaper" by a Microsoft survey in 2001. 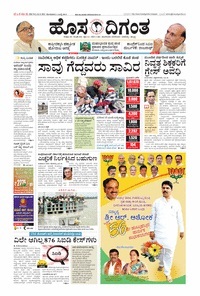 As of 2010, Sanjevani is published in 10 different centers in the state (Bangalore, Mangalore, Hubli, Gulbarga, Bellary, Raichur, Mysore, Davengere, Tumkur and Shimoga), becoming the first Kannada daily to do so.